Oh, what a feeling (when you're honest with your audience). Oh sure, there were plenty of others that ranked better among advertisers and viewers for the Super Bowl 50 festivities. 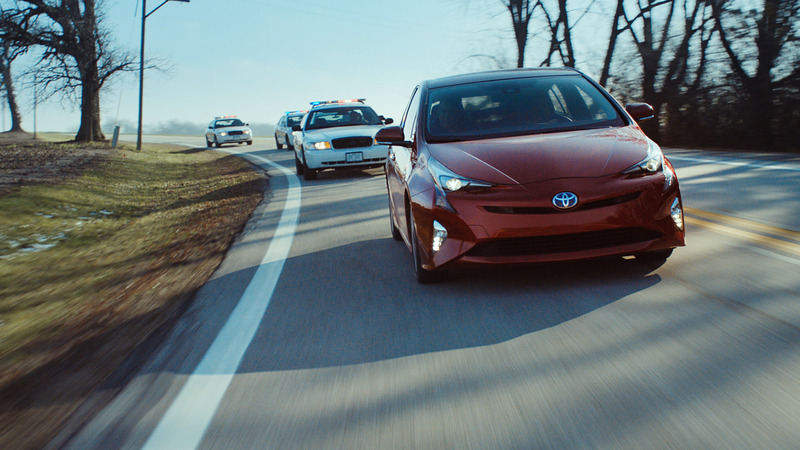 However, none of them had more to do with public relations than what this car manufacturer did with its Prius commercial. When the Prius first entered the market, it was set to be a groundbreaking car. In fact, the word “Prius” is Latin for to go. Yet, “go” is not what this car translated to the public. After a good amount of sales and hubbub in Japan, Prius arrived stateside in 2001 as the first mass-produced hybrid vehicle to the general public. And although the Prius is celebrated as one of the most fuel efficient vehicles in the United States, it is often a punch line and representation for the crunchy, granola folk who hook up for a Tuesday lunch at Whole Foods. The powers that be (from both Toyota and Saatchi & Saatchi Los Angeles) huddled up and knew they had to repair the brand’s reputation. Prius needed a broader appeal, an edge, something slightly badass. And so, Toyota hired four guys who starred on the gritty, realistic crime drama The Wire. Inspired by the Baltimore vice hit on HBO, what better to help with the caspar milquetoast-mobile than a bank robbery and off-the-cuff televised getaway? This was a win for multiple reasons. Besides showing off the seemingly endless gas tank, the media and fans were enthralled that the felons were in a Prius. And yes, this televised caper had some O.J. Simpson overtones — dubbed as “The Chase of the Century” — sans white Bronco and well, O.J. Toyota tried to repair its image last year with a dork who refused to cuss. It didn’t work at all. This year, four dorks who have obviously experienced an eff bomb from time-to-time probably did repair that image because a Prius isn’t just for white dudes anymore, whether leaving a Starbucks or a heist. Do you agree? Here’s the ad to help with that decision.